"Athens Group sells into an increasingly competitive market, so we needed to bring our selling effectiveness to the next level. Topaz Sales Consulting came highly recommended from someone I trust, and that trust was not misplaced. I have been impressed with the Topaz methodology and approach -- a powerful combination of course material and discussion of real world examples. In particular, their emphasis on “getting to no” to avoid wasting anyone’s time and focusing on high value prospects has been very effective. We have used many Topaz services including Buyer Facilitator, eLearn training, Metahire Sales Hiring, Assessments, and Coaching. Our experience with Topaz has been very positive and has unified our team around a highly effective approach. I would recommend them to any B to B business with a direct sales force." 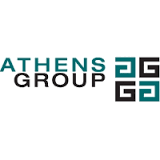 Athens Group is your comprehensive service provider for the verification and inspection of all marine, subsea, and drilling equipment throughout your asset’s lifecycle. From Topsides to Subsea, from FEED to obsolescence, and from control systems to electro-mechanical, our consultants apply our systems engineering approach to verification, validation, and inspection services to ensure compliance with the highest standards of safety, performance, and reliability.